A source told ABC News that when police spoke with Andrea Coulson, Gardner's mother, she told them Giordano had called her three days after her daughter went missing. He said, "I just got my socks and my shoes wet when I was looking for your daughter." In a statement, Coulson said she thought it was a strange thing to say given his previous account that the couple had been snorkeling when she vanished. Several eyewitnesses have disputed Giordano's snorkeling defense. Great job TM. I couldn't make the Capgemini SA connection. Now I wish I knew what it all means, if anything. Back to one of our original questions......How many times has Giordano traveled to Aruba and what associations does he have there? Since much of the info we are getting is from ABC, whose articles continue to quote "an Aruban Police Source", I don't anticipate answers to pertinent questions. IMO, they leak out what they want to suggest. I did read that the Aruban Police have Robyn's computer, and are "considering sending it to the Netherlands for examination". I guess like they are considering getting some dogs in to search for her. This nonsense is all too familiar. Hopefully, the FBI has learned more about Giordano's associations and travels since they searched his home. IMO, they are our best hope. So many questions, very few answers. Wonder what will happen in court tomorrow, do they have enough to prolong his detention? Are they going to let him go, and leave it to the U. S. authorities to charge him with something? Why aren't they trying harder to find Robyn? No searches with canines yet? It's been far too quiet, imo. That worries me. A second earthquake, Sunday, at Aruba. ORANGE CITY - Aruba last night once again faced with an earthquake. It took place at twenty past nine and had a magnitude of 1.2 on the Richter Scale. The epicenter was located 17 km north of Aruba. Some inhabitants of North and St. Cruz have felt this earthquake, so let Aruba know weather. It was the second earthquake in a weekend in Aruba. Saturday afternoon, the island was already shaken by a quake, which had a weight of 4.6 on the Richter Scale and was used by many more people in multiple locations and felt. That first earthquake caused minor damage to include the landing and the airport Reina Beatrix opstijgbaan. The airport was a precautionary measure about half hour closed, flights were diverted. Three witnesses, two women and a man, told police that Giordano approached them on Aug. 2, saying, "Can you help me? We were snorkeling and my girlfriend is missing," she told police. One woman told police that while Giordano's sneakers were wet, his shorts were not. "They were certainly not soaking wet because there was no water dripping from his pants. In my opinion, the man was covered in sweat," she said in the police report. She went on to tell police, "The only thing I had noticed was that the man was very calm." The woman's friend told police, "What I thought was strange was that this man was not searching...I also noticed that he had a scratch on his thorat. It looked as if someone had scratched him with a nail," according to the police report. A third witness, a man, also described Giordano's calm demeanor in the initial hours of Gardner's disappearance. Gary Giordano, the man suspected in the disappearance of traveling companion Robyn Gardner in Aruba, "is not a monster," his father said on Tuesday's Today show. "The least I can do is stand up for my son and tell the world that what they've been hearing about him is not true," Frank Giordano, 80, said on the NBC program. 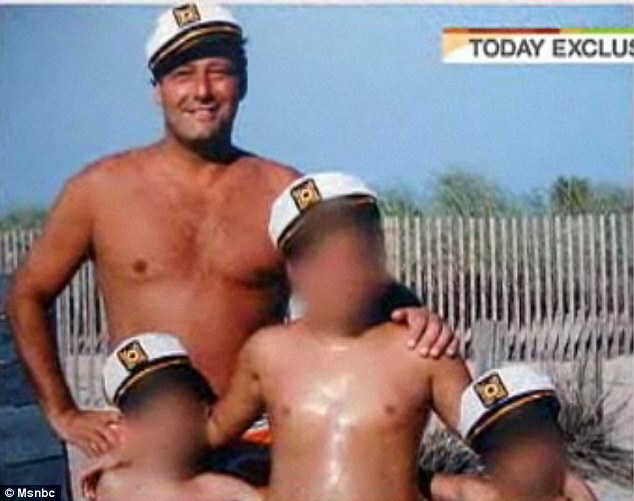 Frank Giordano also released family photos of Gary, including some with his three sons (their faces masked for privacy), to display the "other side" of the man he says has been vilified by the press. 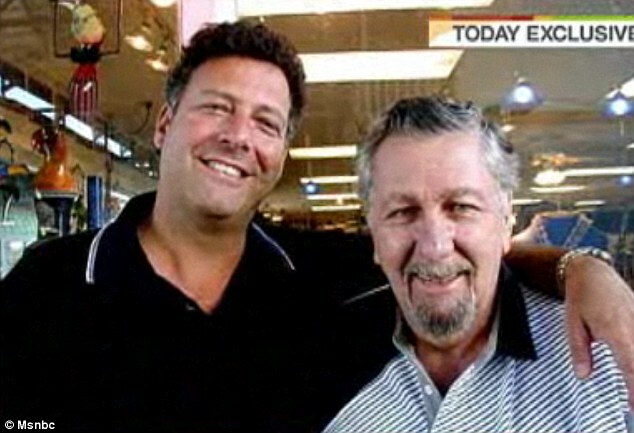 "I would like to show … the side that shows Gary as a good human being who's good to his family and good to his friends," Frank Giordano says. "I know he would not be able to kill someone." Frank says his son has been put in isolation so he can't call or visit him, which has been hard on the family. "His kids miss him the most," says the elder Giordano. "He's almost a big kid himself. They love coming over to his house." Police also questioned Giordano about why he called American Express about an insurance policy on Gardner. He told them his lawyer advised him to do so. 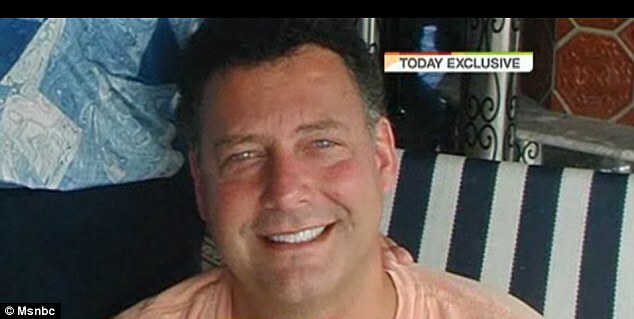 Giordano reportedly moved to redeem a $1.5 million insurance policy on Gardner after she vanished. When police asked Giordano if Gardner had chosen on her own to make him a beneficiary, he said, "Yes, she filled out the papers herself." A controlling sicko can appear so normal to those outside a relationship? Our family was touched by one a number of years ago. It was eleven months riding on a roller coaster of emotions. It was eleven months of walking on egg shells. It was eleven months of h---. 12:50 on August 13, 2011, EDT. Jeanette Farago, a former neighbour, started dating Giordano around the time of his second divorce. She said Giordano was charismatic but could become angry and possessive, though she said she never felt physically threatened. Once, he wanted to take her on a cruise but became irate when she didn't want to go, she said, a situation Gardner also found herself in, according to a friend. Maybe the economy hit him hard, and he thought he get away with it. What are the chances he did sell her? Make it look like an "accident" and capitalize on that (wrt to the insurance money). Y'know - kinda double dipping. JMO but someone who would murder in rage would also sell to the markets...We all know Urine did both. Martin Savidge on HLN, says the closed hearing is sometime in the morning and he's been told they would find out what happened in a release from the OM's office after the hearing. Robin Sax in on HLN now talking about the case. I hope they extend his detention, but I've just got a sinking feeling they may turn him loose. And we probably won't know it until he's back at home, watching it on CNN with us. It's just been too quiet. No sign of any further searches for Robyn. Right but at least in this case he and Robyn are both Americans. FBI may be able to do more once he is out of Aruba. I don't think she was sold and I also don't think Joran sold anyone. I think Joran used any one he could to get what he wanted but i don't think he sold women. I think he stole from them and used them and murdered Natalee. I believe that Giordano killed Robyn. Joran was invistigated for selling Thai women when he was over there...just sayin. 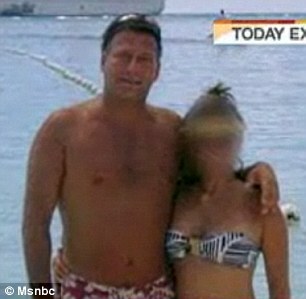 I am not saying that Natalee was sold - I think the jerk murdered her in a rage on that night , like he murdered Stepanie. But I think he was involved in nepharious activities then and after wrt to the selling of women to the markets. I am just questioning why this perv who too Robyn - why Aruba? The lack of law inforcement - or the ease of selling a beautiful blonde to a market - and the records show she was drugged. Shall I go back to sleep?